Recently IMS published a position paper entitled, “Evolving Personalized Learning: Maximizing K12 Expenditures to Support Instructional Reform” authored by Don Manderson of Escambia County School District, Florida. Don is a member of the advisory board of the IMS I3LC (Instructional Innovation through Interoperability Leadership Council), which was set up by IMS for school districts and states around the world to collaborate in leading the effective application of technology to K12. Here are the key takeaways from the paper - and below some introduction on how this relates to the global race to the top in education. As we often discuss in IMS, the U.S. Department of Education initiated “Race to the Top” program has a very relevant name. While those in the U.S. might think of RTTT as a program to incentivize U.S. states to achieve instructional reform, the more significant “race to the top” is in terms of the global economy: the race among nations to compete more effectively and therefore prosper in the knowledge age. However, at issue is how will reaching the top be measured? Well, certainly fixing the leaks in the pipeline of students who do not graduate at each level is one indicator. 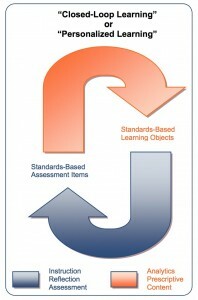 Another typical measure is scores on various standardized assessments. Unfortunately for the U.S. test scores and graduation rates relative to other countries have fallen dramatically over the last couple of decades. The U.S. is investing heavily in the Race to the Top Assessment Program with the hope of achieving more authentic assessment that encourages more effective instruction – with the goal of improving the pipeline and scores – something that the previous U.S. government program “No Child Left Behind” failed at miserably. However, the U.S. and every other nation need to carefully assess for itself what measures will really define “the top” as it relates to leading in the increasingly global and competitive world economy. What really matters in terms of global economic success and what does that imply for what a system of education can deliver? Not all educational experts are onboard with the theory that maximizing test scores should be the goal. For example, Yong Zhao, an educational scholar (and keynote speaker/panelist at IMS Learning Impact 2013 in San Diego, May 13-16) has conducted research that leads to the conclusion that it is other factors that matter more, namely fostering diversity of talents, creativity, entrepreneurship, and passion. The key point is that the global race to the top is as much about understanding what are the salient attributes of getting to the top as it is anything else. And, from my travels around the world I think it is safe to say that no country has figured this out yet. One common theme around the world: the need to move to personalized learning - something in IMS we often call closed-loop learning - because personalization requires feedback and adaptation. Something the U.S. education system appears to have going for it is the acceptance of a diversity in approaches to “a better education.” The challenge with diversity is that it does not scale. Many points of light do not necessarily lead to a beacon of change. We see this in spades in education. There is no shortage of examples: really effective innovation here and there. But, if innovation is based on a particular teacher or a particular local approach, does it scale? Does grant funding of individual points of light create innovation that scales? I think history indicates that the answer is no, or at least very slow. Therein lies the potential brilliance of the U.S. Race to the Top initiatives. Awards are relatively large sums of money to institute large-scale reforms. Will it work? Too early to tell – the next few years will be very interesting. But I do applaud the realization by the U.S. Department of Education that funding to create and implement scalable reforms is what is needed. But if you are on the front lines, in a school district, should the race to the top be viewed as a good thing or more of a new burden from the top? After all, top down mandates from No Child Left Behind were a disaster. Will Race to the Top reforms be any different? In the paper entitled, “Evolving Personalized Learning: Maximizing K12 Expenditures to Support Instructional Reform,” Don Manderson takes the positive side of the argument that in fact there is (perhaps, finally some) alignment occurring with respect to the personalized learning goals of teachers/students/parents and the top-down reforms via race to the top. The paper presents a holistic view. One in which the new Common Core State Standards provide a basis for enabling project-based learning to be more instructionally sound. At the core of the hypothesis is the need for interoperability – driving down the time and cost of integrating diverse digital resources to be available to teachers and students. An open vendor-neutral platform is the ONLY way this can be achieved in an evolvable, sustainable fashion. 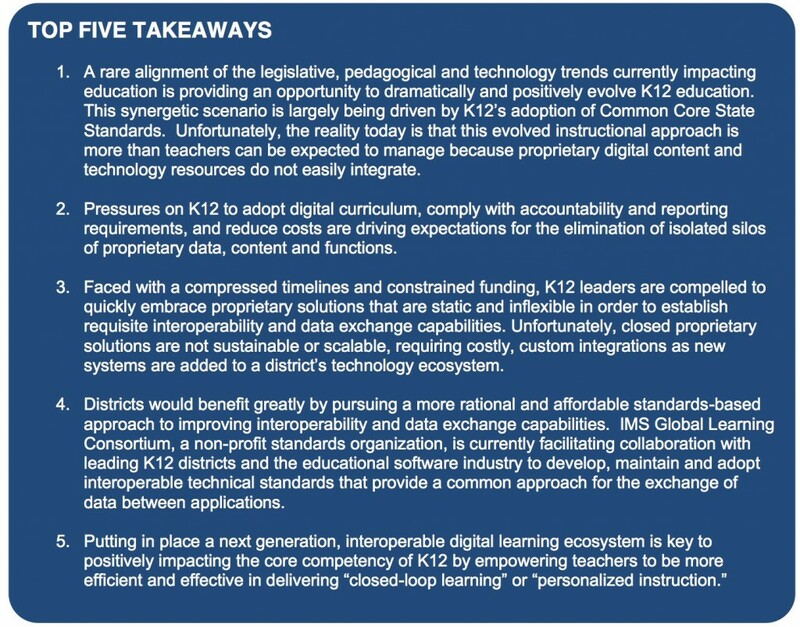 As such, an open vendor-neutral standards-based platform becomes a key element of “getting to the top” as districts, institutions and nations strive towards personalized and life-relevant learning that could potentially fix current leaks and create new vistas. In fact, it is difficult to imagine innovation in personalized learning that scales without the open, vendor-neutral, standards-based platform. Until educational innovation gets ‘easy’ it won’t happen at the scale we need it to happen. Technology in service to education needs to be easy. The paper presents a compelling vision – and IMS is working closely with a set of leading districts and leading suppliers to put the open foundation in place. We thank the IMS member organizations for taking the high road of collaboration on the next generation open platform for teaching and learning. 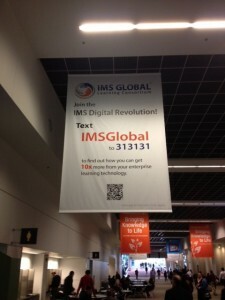 U.S. Education DataPalooza: What Happened There and How It Relates to IMS Global’s Work? Is educational data boring? You might think so. But, after attending the White House/U.S. Department of Education DataPalooza event held this week (October 9, 2012) I’ll have to say that I’m a believer in the role data can play in enabling educational innovation. And for governments around the world wanting to encourage positive educational change, you need to consider the important and potentially transformational role data can play. The event featured a morning of stellar presentations from a mix of government officials (including U.S. Secretary of Education Arne Duncan and MC’d by U.S. Chief Technology Officer Todd Park), entrepreneurs and well-established education suppliers. Organizations that presented included Gallup Education, Agilix, EverFi, Georgia Department of Education, eScholar,Personal, Utah Education Network, Pearson, York County Schools Virginia, Alltuition, Rezolve, BecomeAlum, Knewton, U.S. Federal Communications Commission, Education Superhighway, Mozilla Foundation, and The Manufacturing Institute. Having interacted with the U.S. Department of Education under the Obama administration for several years now, I have to say that I have been impressed with their ability to bring together leaders and encourage change. This was about as good of a ½ day of thought leader presentations – highlighting real emerging practice – as I have attended anywhere at any time. There is absolutely no doubt in my mind that this initiative represents the future of U.S. education innovation. 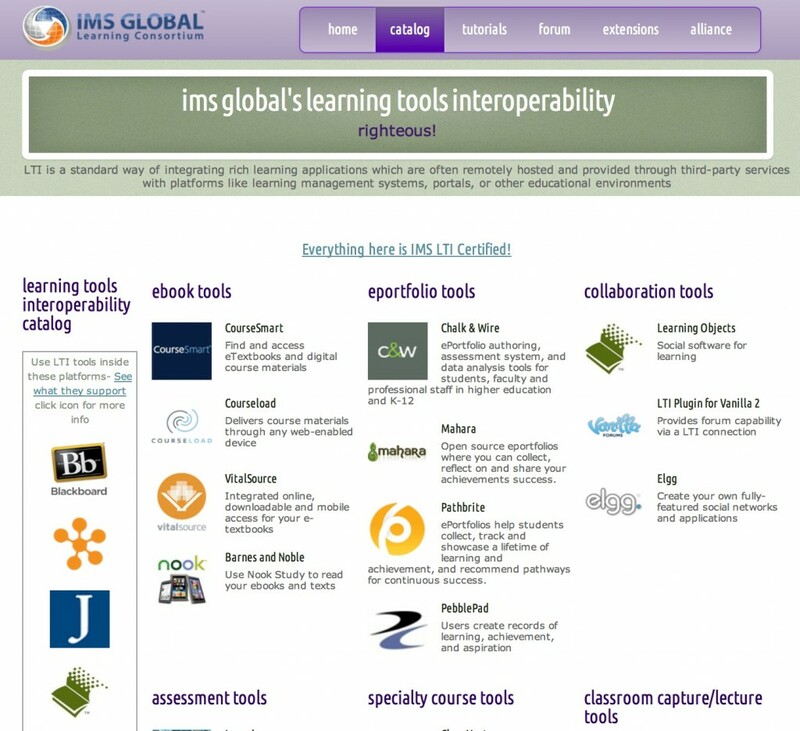 I’d like to detail some of what occurred, in terms of content covered and then relate it to our work in the IMS Global Learning Consortium. The Education Open Data Initiative is similar to U.S. government led initiatives in other segments. The major thrust of these initiatives is that people can make better decisions and be served better if they have ready access to “their data” accumulated over a life time. It’s common sense that a patient can make better decisions and receive better care if their medical history is readily available. Same with education. Seems like a "no-brainer." 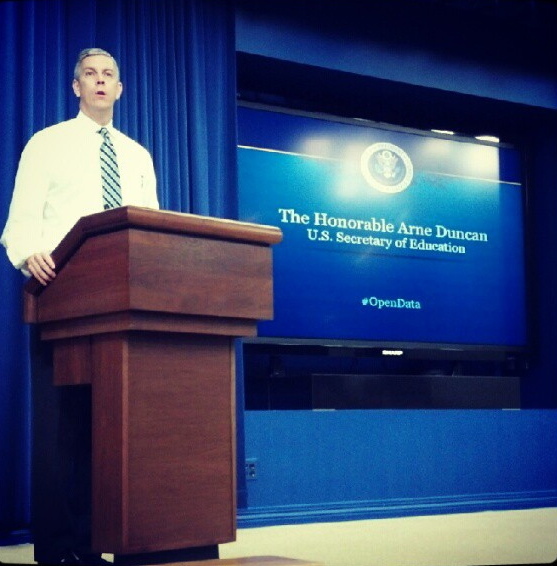 Secretary of Education Arne Duncan (recently returning from a “Back-to-School Bus Tour”) kicked things off by challenging the audience to leverage data as a potential “game changer” for U.S. education. U.S. ED is doing more than just talking about this – they are actively encouraging it with initiatives like the MyData button, which encourages institutions and suppliers to make personal data (regarding educational achievements) available to educational consumers. Of course, rarely is data by itself that useful. It’s the information – actionable information – that is derived from the data – that is what tends to be most useful. So, for instance, using the medical analogy, an x-ray or MRI provide good sources of data for some issues – but both need to be interpreted by a specialist to get the most useful information out of them. Helping students make the right choice in selecting a college that fits their interests, background and budget. Wow! Feeling a bit overwhelmed? Data is nothing less than the future of education. Which is what made this event so powerful and interesting! Of course, as Karen Cator (Director of the Office of Educational Technology) pointed out, there is no single magic bullet in improving education, whether it be technology, data, or anything else. And, one of the most poignant comments came from Jim Shelton (Assistant Deputy Secretary for Innovation and Improvement) who stated that while the event was excellent, that the key element to success will be what happens after the event in terms of industry really working together to create a movement of transformation. 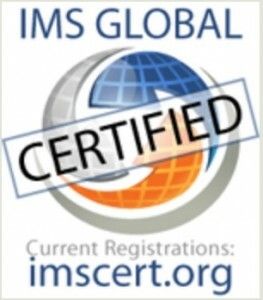 What does all this mean for the work of IMS and technical interoperability standards? Well, at first glance it is a complete no-brainer that many of the data connections required to achieve the above goals will be a lot lower cost and easier to make happen if they are based on standards. But, the value of a “standard” is that it provides the predominant way to do something – when a standard predominates, it takes cost and complexity out of the market –and those resources can be spent on other things – like innovation. So, if there is a single, or a few, dominant platform providers, then, yes, they can claim their approach is a standard. In such cases you see the “platform wars” that we are seeing now with Google, Amazon and Apple. But, if you want many suppliers to be able to participate with low barriers to entry – as is absolutely essential in education – then the only viable route are standards at the core of the industry that are evolved and maintained by industry. So, when a company – say company xyz - says that anyone can access the data out of their platform based on an open standard – well, that is misleading. If xyz wanted to get their approach accepted as an industry standard they could easily work with standards consortia like IMS to do that – and in so doing would relinquish control to the market. But, should xyz do that? When a critical mass of market leaders believe that there is more “opportunity” for them if they cooperate versus if they don’t, then they will cooperate. I put the word opportunity in quotes because in industries like education opportunity does not simply equal more revenue, but also includes institutions themselves being more responsive to their mission. 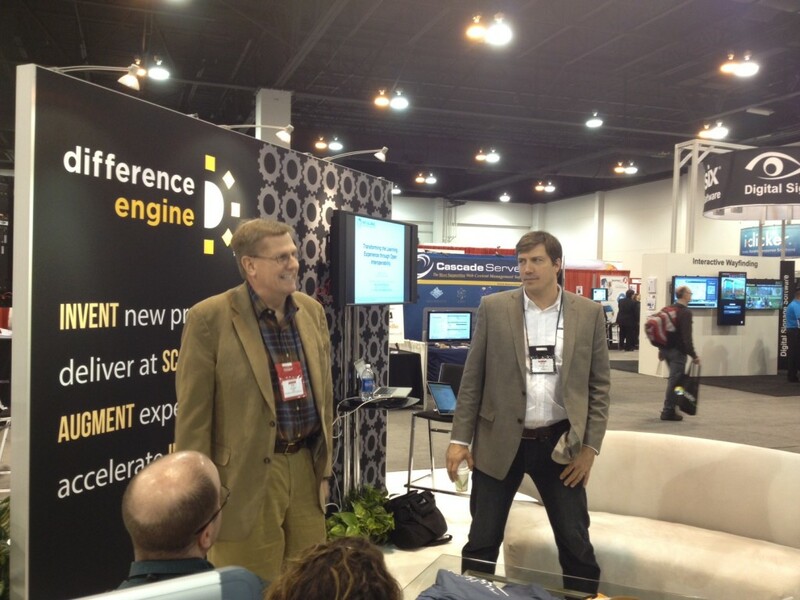 Will they cooperate via a standards consortium? Yes if the consortium is responsive to the needs of the market. No if it is not. One way that a standards consortium can be “responsive” to a market is to be out in front of it. That is, the standards consortium can play a role in enabling the market. I think it’s fair to say that IMS had a reasonably significant role in enabling the market for learning/course management systems in education. 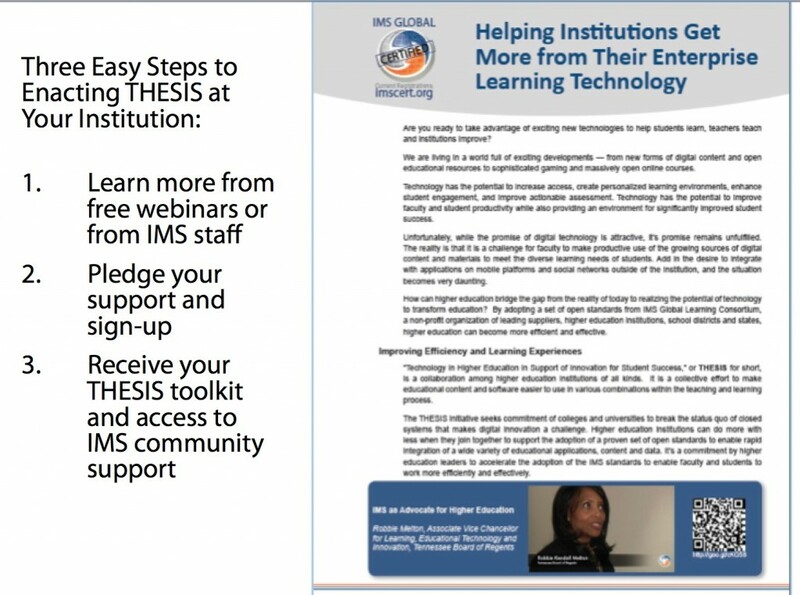 I think it’s also fair to say that IMS is playing a significant role in enabling a wide variety of digital content and learning tools/applications to be better utilized in the context of the educational enterprise. So, rather than focus on the data exchanges, as tempting as that is, IMS is more focused on the opportunities that we are trying to enable. At our annual Learning Impact Conference and Awards Program we have focused for the last six years on the transformational educational delivery models that are needed and the technology that supports them. Some of the speakers at the Education DataPalooza talked about those breakthrough ideas – like helping students focus on their strengths, learn at their own pace, and get motivated by solving real world problems. Throwing technology at education will not create educational transformation or the movement that nations around the world are striving for. The role of the educational institutions and educational leaders is so crucial to the transformation that is needed. There are going to continue to be hangovers from buying the latest platform championed by a few geeky leaders in the hopes that this will create change. And, in a nutshell, IMS needs to bring together the educational leadership community with suppliers of all shapes and sizes to figure out where the mutual opportunities are and standardize the common ground. Using data/metadata to find content. 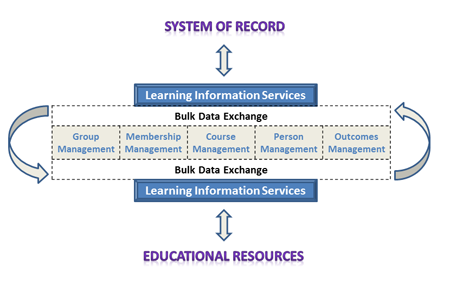 There have been many admirable efforts over the last 15 years to establish metadata standards and several recent initiatives such as the Gates Foundation funded LRMI and the Learning Registry funded by the U.S. Government. While admirable, and potentially usable, the models behind these of “learning objects in the sky” does not seem connected to any transformative model of education that has been realized anywhere over the last 15 years. Repositories and such have been noble efforts at sharing – with claims of lots of downloads and page views – that have not created much opportunity yet. 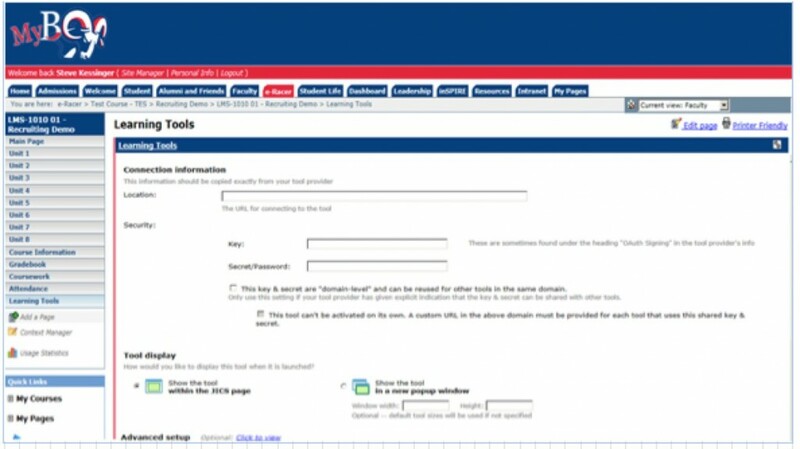 In IMS we are focused on enabling ANY application to be the source or destination of a search: And to make it easy for institutions to configure those sources and destinations. If you’re thinking “we can create our own app store based on standards” – well, that’s right. Perhaps the most important aspect of this enabling the content providers to understand user information and context – which is critical to allowing them to provide the ultimate value to users. Getting useful and usable information out of digital learning experiences. Analytics is a hot topic in almost every vertical industry right now. There were some pretty dramatic claims made by one of the companies presenting at the Education DataPalooza with respect to how their product could collect information across many students and analyze this information in real-time to provide each student with a unique syllabus each day. At IMS we see two fundamental types of data coming from digital learning experiences. The first is the “usage” information. How much are various digital resources used? This may seem unimportant to some – but, as we move from print to digital this is critical information that institutions and publishers need. The IMS e-textbook task force is focusing on this. The 2nd type of data is performance data – how far has the student progressed in their learning? Of course, this is the realm of assessment. More and better formative assessment, learning dashboards, and the like seem to be critical to helping with engagement. IMS is very actively engaged in working to understand what data the market is willing to standardize on and what they are not wiling to standardize on. 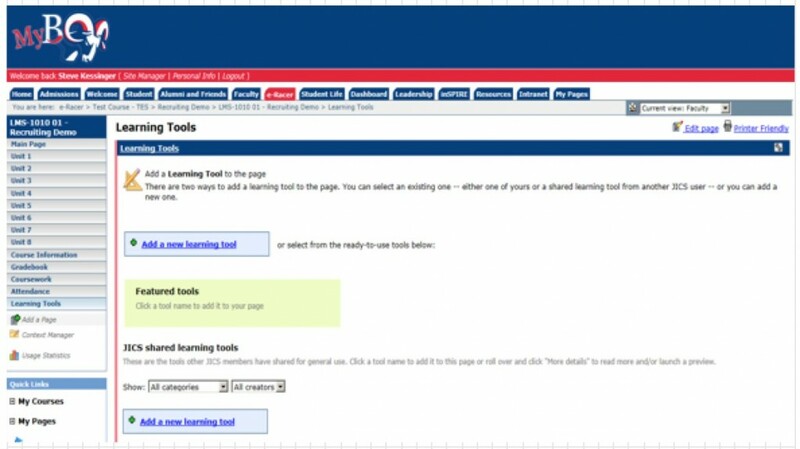 IMS has been covering the rise of adaptive tutors/homework applications – subject-specific software that uses data across many users to tailor learning paths and provide better feedback to students and teachers. Can industry agree on a way to describe student progress? Will the Common Core State standards enable this in the U.S.? I think it is clear that there must be room to support diversity and innovation with respect to understanding student progress. I think a more likely scenario that will enable market opportunity is the encouragement of competing tools that can rapidly assess and recommend learning plans that are vetted by a teacher. Fundamentally, the acid test is correlating learning activities to “performance” on a variety of summative assessments. We have a long way to go before this can be accomplished, but, if doable, this does enable opportunity for market participants. Education and Career Positioning Systems. Many of the products and concepts discussed at the Education DataPalooza fit into an emerging category of products IMS refers to as Education and Career Positioning Systems (ECPS). The idea is very simple – give students something analogous to a GPS but that helps them understand where they are on their educational and career path. Of course, this is easier said than done. If it were easy, it would have been done already. IMS is currently working closely with the Lone Star College System in Texas and an advisory board of college leaders to understand what data standards will create opportunity in this exciting new area. See call for participation here. 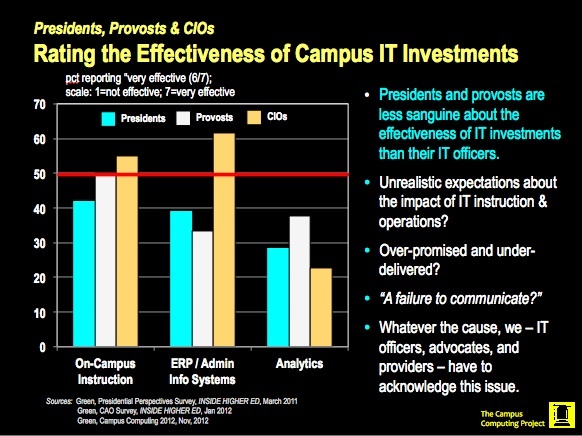 We think it is critically important to work with colleges to bring the ECPS to fruition to enable student engagement and responsibility, as ultimately colleges must be on board for the educational improvements and innovations to be realized. Again, innovative educational models is what will enable educational transformation. IMS and Lone Star have assembled a set of innovative suppliers that are willing to work on defining the open data standards required. To be effective, an educational positioning system must bring together data from the right set of “satellites.” And, the project is also leveraging the U.S. Department of Education MyData initiative, which already leverages IMS and other standards. This will become, we hope, a great example of how open data can enable a new product category. And, we hope the availability of open standards will enable many existing and new suppliers both inside and outside the educational enterprise to partake. In summary, as I have written in other posts, the education industry is one that is still trying to figure out how to best leverage technology. We are at an infantile stage, both in terms of the technology and technical interoperability standards in this segment. It is only through leadership of individuals and organizations – cooperative leadership – that we can realize transformation to an industry that knows how to leverage technology for better results. I’d like to thank the White House and U.S. Department of Education and the IMS Member organizations for your leadership on this journey. IMS is very good at fostering collaboration, even among competitors, and we have a crucial role to play.